Every writer, editor, and managing partner at Presto Media uses Grammarly. Whether writing an article for a client or composing an email to a partner or potential customer, we stand behind the product because it makes us better communicators. I have worked in digital media for the past 18 years and there has always been one constant, a lot of grammatical mistakes made by writers who speed through their work in order to move onto the next paid project. While they may research the facts and compose acceptable final products in terms of accuracy and engagement, there are often small spelling and grammatical mistakes that sneak through the cracks. Typically, errors are found because a writer jumped between different platforms, such as Google Docs, WordPress, MS Word, and others. Some of the platforms used offer grammar and spellcheck while others do not. The Presto Platform, the system used by our writers to create advertorials, viral news, listicles, blog posts, and other content for our partners, integrates 100% with Grammarly and we can usually tell when it’s not being used. It catches the simple spelling mistakes that can take a piece of content from stellar to amateurish. Their versus there, who’s versus whose, and other mistakes are quickly picked up with a bright red warning. Grammarly uses a contextual spelling checker so you’ll never use lose/loose, affect/effect, lie/lay, and other terms incorrectly ever again. Avoid the grammar Nazi’s every single time you post something to the web. 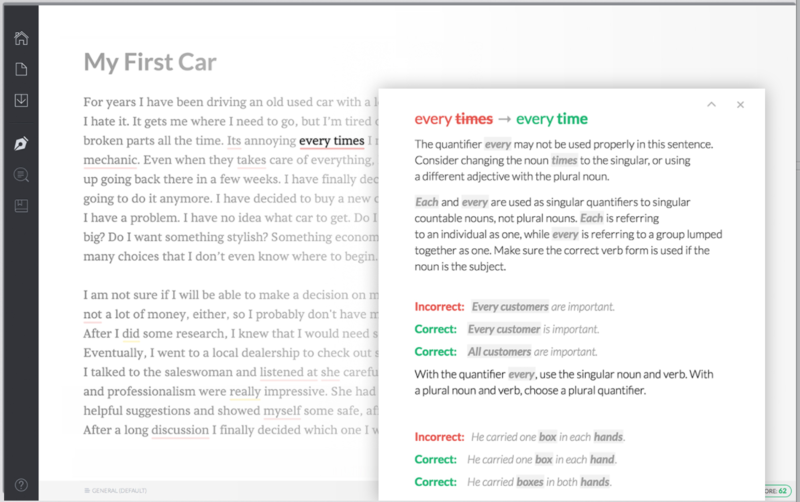 Grammarly performs dozens of checks with the free version and examines more than 250 grammar rules with the paid platform. Whether you constantly fight with possessive use rules or you forget punctuation regularly, Grammarly has you covered. Not only are words underlined with traditional warnings, but a quick hover over each area of concern displays information about what went wrong and how to fix it. The example above uses the built-in editor provided by Grammarly while our example below provides more insight into the platform’s pop-up capabilities. 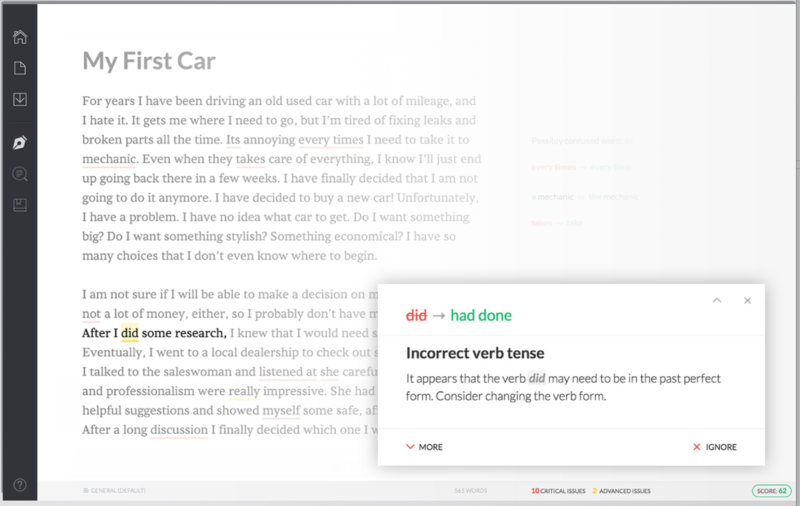 You can even use Grammarly to improve on your use of the English language. Instead of simply offering a correction, the platform can provide correct versus incorrect grammar usage lessons in real-time. Write anywhere, anytime, and for any reason. 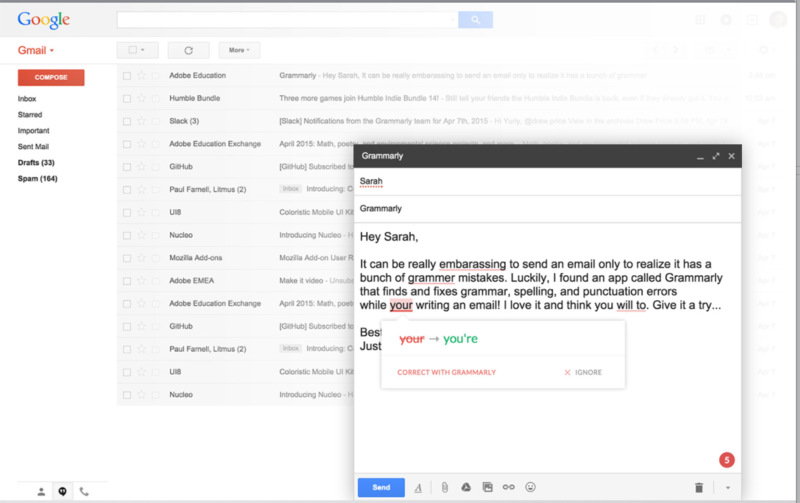 With Grammarly, your Facebook and Twitter posts, emails, documents, and other files are checked in real-time. I have personally become accustomed to using Grammarly while sending out Twitter and Facebook messages because my friends like to take jabs at each other when incorrect grammar is used. At Presto Media, we tell our writers to make sure their content can be consumed by the “average reader” but that doesn’t mean completely dumbing down their work. 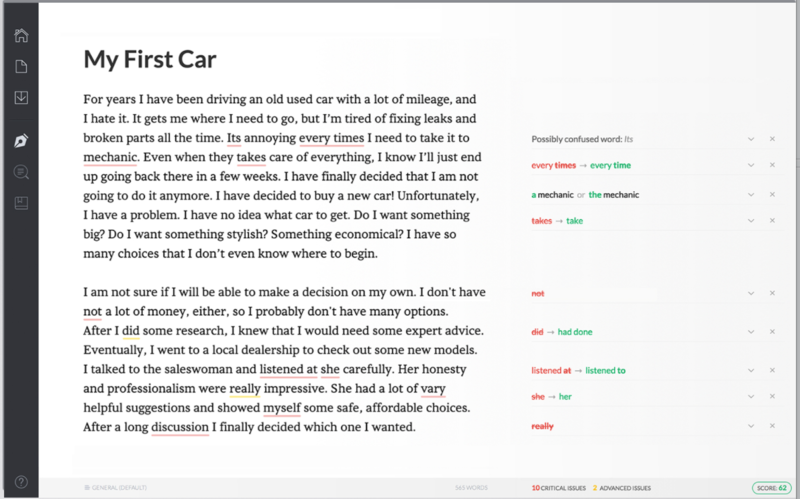 Grammarly offers context-optimized word choice suggestions to instantly improve the readability of your work. How Do I Get Grammarly? The program starts with free versions available as web browser extensions. If you run a Mac you can also download a desktop version of the program that keeps you constantly connected to all of your important work. If you want premium service the company offers an annual plan that costs less than $12 per month. A monthly plan will cost $29.95 and there are also semi-annual and quarterly plans that reduce the platforms initial cost per user. At Presto Media, every piece of content created for our publishing partners is checked over by a college educated editor with years of experience in the fields of journalism, digital media, and public relations. Our writers are also veterans of the content creation space with years of experience in the development of quality online content. Despite both of those facts, there are still times when grammar and spelling issues make it through to the final steps of the submission process — even major publications such as the Wall Street Journal and New York Times, face their fair share of grammar and spelling based mistakes. With Grammarly, we have managed to eliminate any mistakes that sneak their way through our editorial process, leading to much higher customer satisfaction rates and fewer headaches for everyone involved in the content creation process. With Grammarly, we have managed to eliminate almost every type of mistake that could potentially sneak their way through our editorial process. Grammarly has lead us to much higher customer satisfaction rates and fewer headaches for everyone involved in the content creation process.